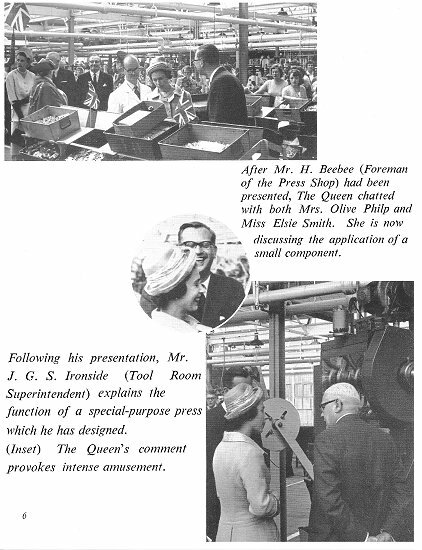 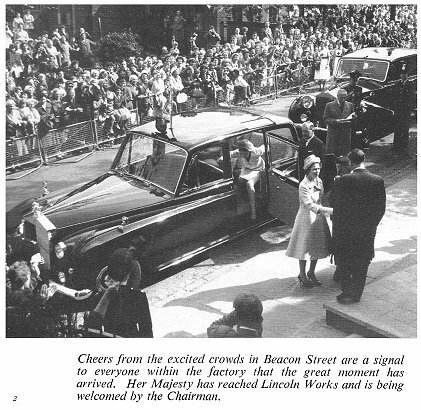 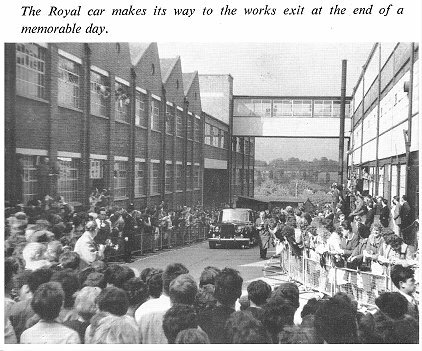 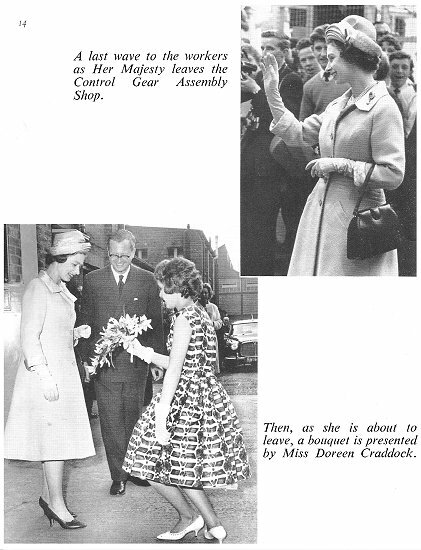 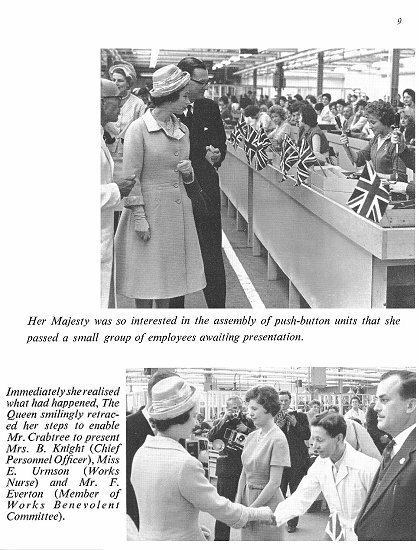 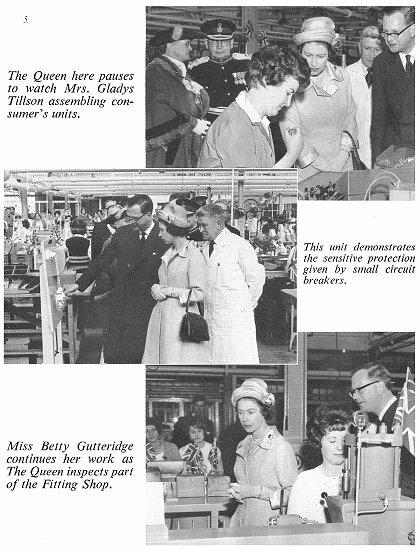 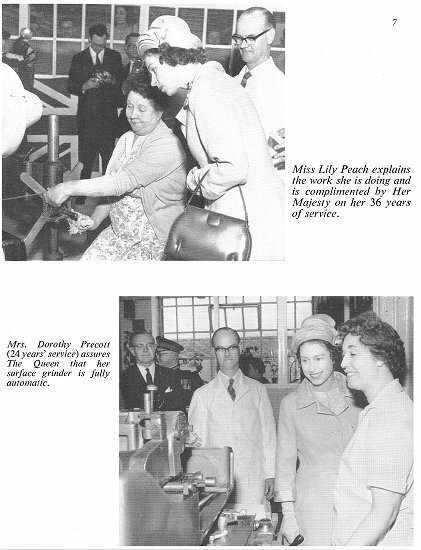 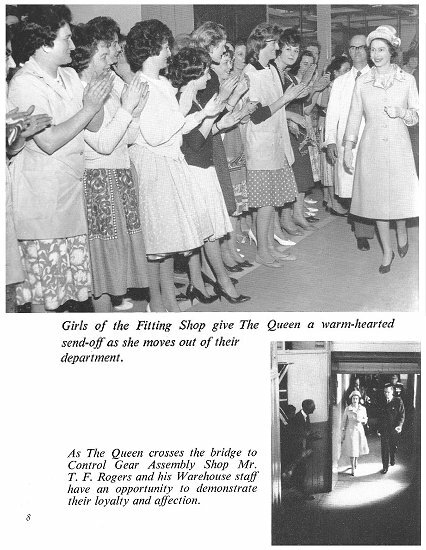 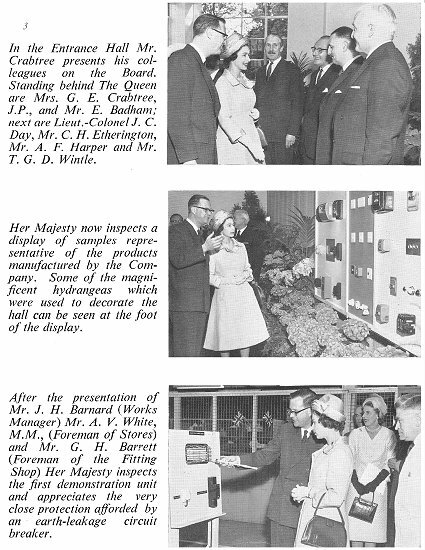 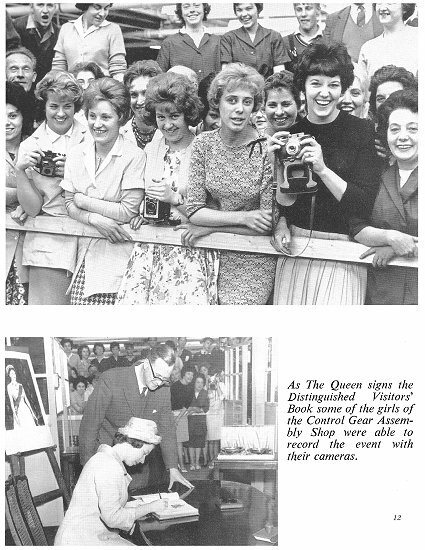 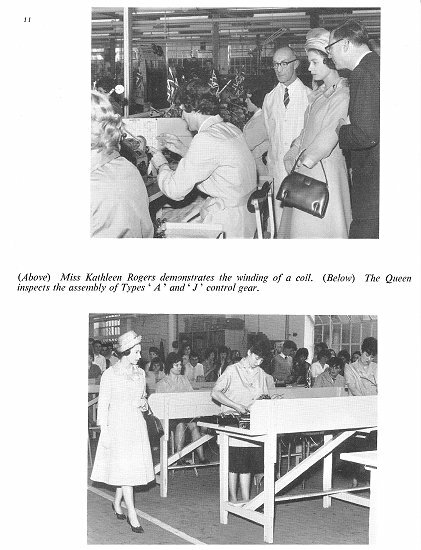 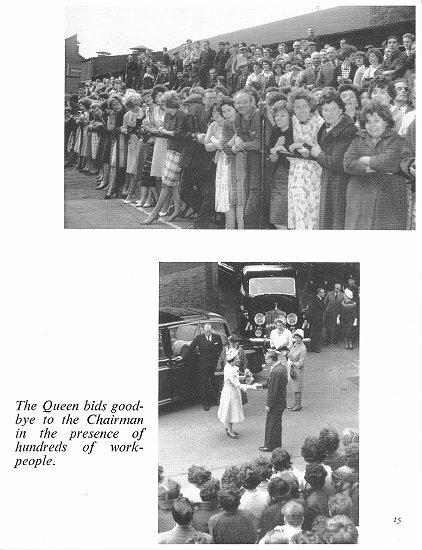 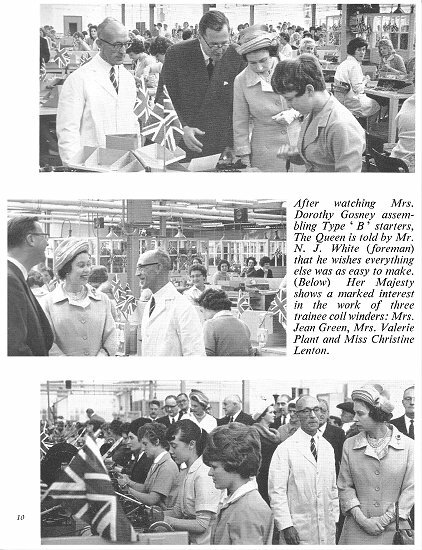 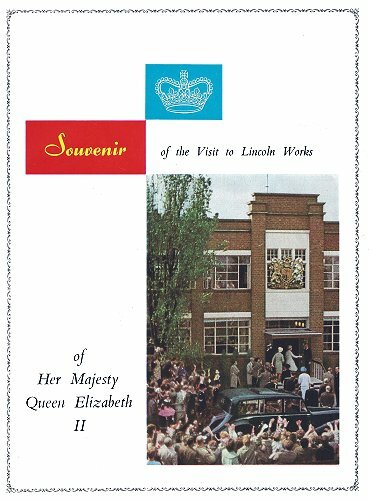 On 24th May, 1962 the Queen visited Lincoln Works as part of her visit to the Black Country. 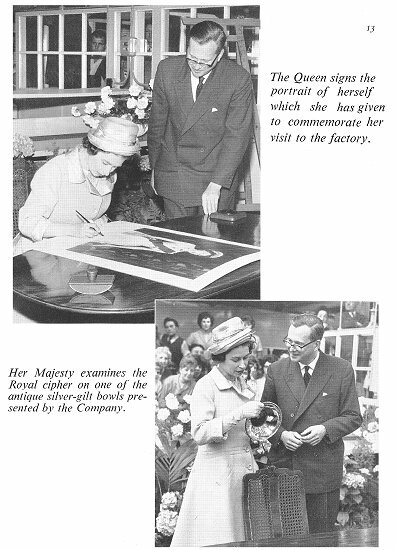 The following images, taken from the programme of the visit, and the company's commemorative booklet, were kindly supplied by Christine and John Ashmore. 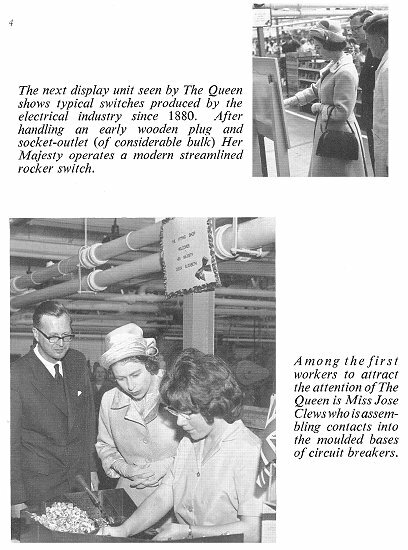 From 'The Electrical Review', 1st June, 1962. 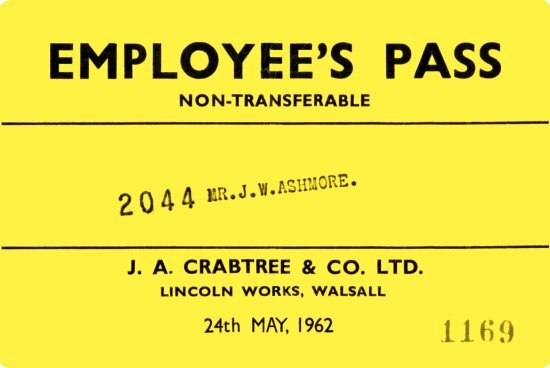 Wilfred Ashmore's pass for the event.